Need help connecting with your customers locally in Seattle or even nationwide? We have a special knack for helping your potential clients find and connect with you online. We do this in a number of ways with a primary focus on building the quality of your brands online presence, trust and perceived leadership in your industry. Search engine marketing done the RIGHT way for your unique business will increase your exposure, help you grow a real and loyal customer base and secure your long term growth potential. We don’t just strive to be the best in Seattle at SEO; we make it a purposeful grind every day so we can deliver the best results for our clients. This means watching what the rest are doing but never staying with the pack. It means partnering with the top minds in our industry but never emulating. It means always inventing new methods and always testing. What will better search presence, a trusted online brand and targeting the right customers do for your company? The answer is increase your bottom line, build your confidence and help secure long-term growth for your Seattle business. Check, check and check! We have more than 10 years of experience helping Seattle companies market their businesses so it’s safe to say we’ve pretty much seen it all. The truth is that most SEO companies aren’t very good at what they do and most businesses find this out all too late. Low quality SEO can often hurt the trust of your website in the search engines. This type of “damage” can take extra time and effort to recover and can only be done with proper SEO techniques and authority brand building. 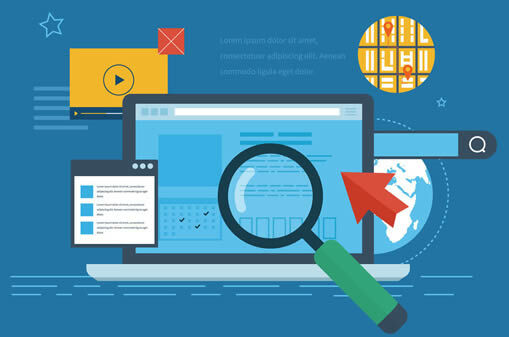 Most situations are very recoverable with our techniques so if your website did experience a bout of “bad SEO” then with sufficient we can still get you where you belong which is well ahead of your competition. You likely found this page after searching Seattle SEO or a similar keyword phrase.You may not think so but this is one of the most difficult keywords to rank for in Seattle and especially to show on page 1 for. This is a great example of how our skill and experience in search engine optimization has provided a stellar result and we have countless examples for our past and current clients as well. We love tackling competitive markets and difficult keywords and would love to do the same for your company. When deciding to work with an SEO agency be sure to explore just how it is they do business. What is their reputation online and what kind of results they have generated for their clients? There are a lot of agencies that offer SEO as a service but simply do not have the necessary skills and experience that it takes to generate industry leading results. This is what separates the best from just another average provider. Almost all of our clients have had previous SEO work done with limited results and spent months or even years spending money to only show up for less competitive terms or on page 2, 3 or 4. Make the right call and contact us today. We will show you the difference that our results provide! Is SEO Money Well Spent? Certainly. We feel SEO based marketing is one of the most cost effective and targeted ways to advertise your business and communicate directly with potential customers. By hiring us as your Seattle SEO expert, we feel your return on investment will be better than any other form of advertisement. Print ads, radio, and even TV ads all require high dollar investment and provide no guarantee that you will show a return on your investment. With proper SEO you are reaching a very targeted audience that is currently and actively searching for your services. This is about as good as it gets as far as modern day targeted advertising. Stop Losing Seattle Customers to Your Competition!